The Historical Society has several publications for sale. Back issues of our Piedmont’s History newsletter, formerly The Attic Trunk, are available for $2.00, each, except the Albert Farr issue which is $5. 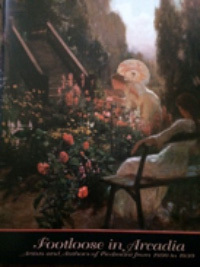 Bubbling Springs and Bushy Dells, the Story of Piedmont Springs Park, $10. This is a 28-page book on Piedmont’s Main Park, published for the Society’s exhibit on the park in 1998. It describes the history of Piedmont Park from its earliest days as a mineral springs resort with its Piedmont Springs Hotel, as a turn of the century Victorian strolling park with the Piedmont Springs Café and Maze, its development under the 1922 City Center Master Plan with the construction of the Exedra and Community Center, to today’s Exedra Plaza. The Historical Society also has duplicate copies of many Piedmont High School Clan-O-Logs in its collection. Copies of most years of Clan-O-Logs are available for $5.00 each. A few rare copies of the 1982 edition of Queen of the Hills are available for $40. This is Evelyn Craig Pattiani’s memoir of Piedmont and the only published history of Piedmont. Sealed from the printer. 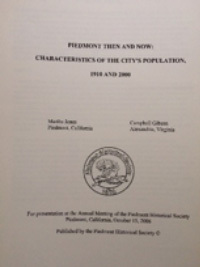 Campbell Gibson’s and Martha Jones’ excellent demographic study on Piedmont Then and Now: Characteristics of the City’s Population, 1910 and 2000, comparing Piedmont’s population in 1910 and in 2000, 51 pages with charts and historic photos. Footloose in Arcadia, the Historical Society’s brochure produced for our 2007 exhibit on artists and authors in Piedmont from 1890 to 1930, 22 pages with full color images of the artists’ work. 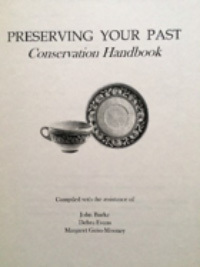 Preserving Your Past, a handbook on caring for books, furniture, glassware, photographs, silver and more. Produced by the Piedmont Historical Society and the Camron-Stanford House Preservation Association. For addresses in Piedmont, there is no charge for postage and handling. Your items will be delivered to your door. For all other requests, please include an additional $2 postage for each newsletter (Albert Farr postage is $5), and/or an additional $5 postage for each Clan-O-Log and other publication.